The Normalized Difference Vegetation Index, or NDVI, has become a common term in precision agriculture. If you have ever seen drone or satellite imagery made for farm field management then you have likely seen the green-yellow-red false-colored NDVI images of fields. The NDVI is in a class of remotely sensed spectral indicators for vegetation called greenness indices. More examples here. These are indicators of how much green, photosynthetic vegetation biomass is present by comparing how much visible and near-infrared light is reflected off the landscape. While greenness indices like NDVI can be useful tools for monitoring crop growth and even predicting yield potential early in the growing season. However, they fall short during the mid to late season when many perennial crops put out their flowers, tassels, grain heads, etc. and an NDVI no longer becomes a useful indicator of plant health and productivity, this is when we go beyond NDVI. 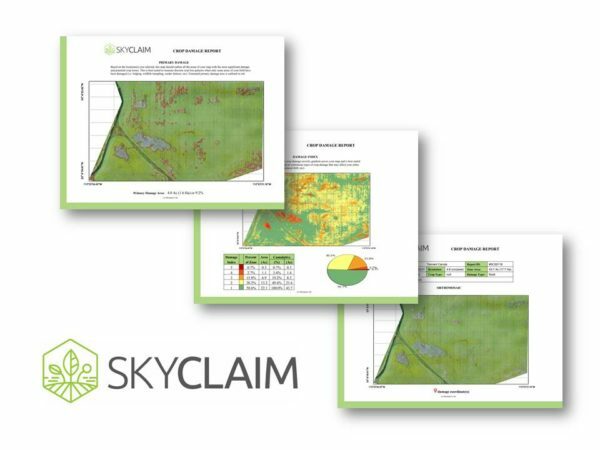 SkyClaim’s algorithms use machine learning and pattern recognition to help you compare plant performance across your field. Target the worst areas in-season, make a new plan for next season, or measure all the areas affected by a disruptive event like a storm, drought, or disease even when your plants are no longer green and actively photosynthesizing. SkyClaim is designed to give you control over your analysis by selecting the damage type of interest. 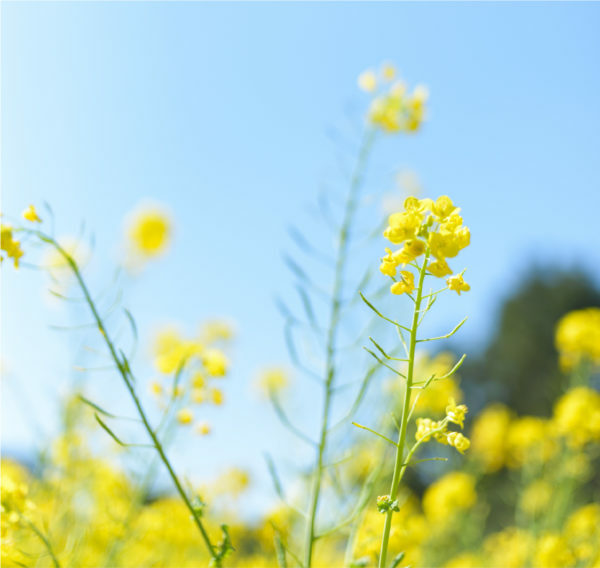 Take Canola, for example, an NDVI map or other greenness indicators on this sea of yellow flowers will not give you the information you need to target the least productive areas or to evaluate the degree of flowering. However, using the SkyClaim app you can identify the best or worst looking parts of your field and our analysis will characterize that spectral and spatial signature and tell you how closely the rest of the field compares to it. For instance, here’s a canola field in full bloom. A little background on this particular field. Historically this land was used as pasture, the soil compaction has caused patchy growth problems. Here’s a closer look. If one applies a greenness index, aka a false NDVI, the dead patches show up as healthy. The green highlighted areas indicate health for NDVI, but that’s clearly not the case here. Using the location pins we selected the damaged parts of the field, with the SkyClaim Damage Index, the dead patches show up as red (highly damaged). You can see the damage hotspots, indicating the most damaged locations. And a color classification showing the severity of damages throughout the field. Highlight just the dead patches with our damage hotspot layer. It identifies only the most severely damaged locations and highlights them. Want to see it in action? Create your own account for free today at www.skyclaim.io. There are demo maps available for every user with downloadable sample reports. For more information on spectral vegetation indices and going beyond NDVI check out this site here by Harris Geospatial, or reach out to Skymatics CTO, Dr. Cassidy Rankine who has studied remote sensing of vegetation for over a decade.